Editor’s note: This is the second in a four-part series examining genetic engineering’s impact on our lives. The third installment examines the role of gene editing in medicine; and the final segment looks at synthetic biology and other novel applications. The first explores the potential for CRISPR and gene editing to change the food we eat. 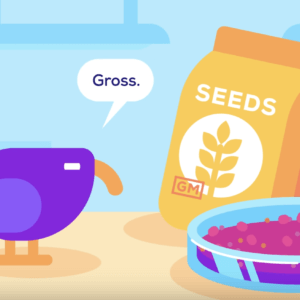 Increasingly prevalent in producing the crops we consume and creating the medicines used to treat our ailments and chronic diseases, genetic engineering could become a common method of modifying the animals we have domesticated and use for food. This will be particularly important as the demand for meat and animal products is likely to increase sharply as the world population expands. The UN is forecasting the world population will rise from 7.6 billion at present to 11.2 billion by 2100. Without the adoption of GE techniques, it is unlikely we will be able to feed that growing population. 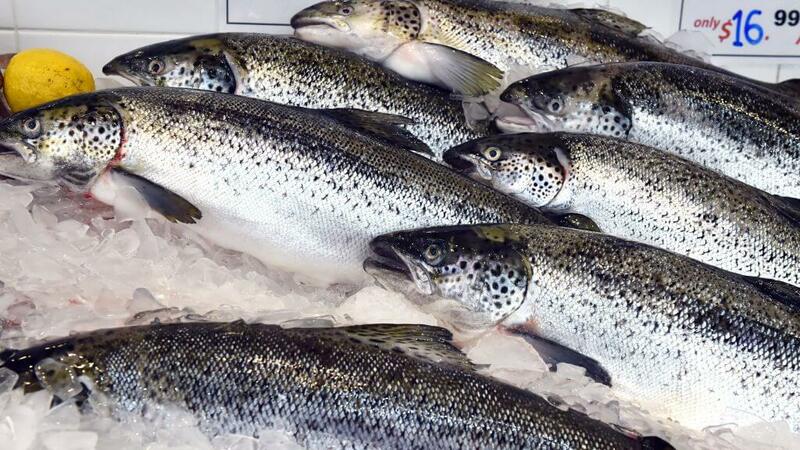 Stringent regulatory hurdles have prevented any GE animals with the exception of the GE Salmon from being approved for sale in the US. The approval process was quite arduous taking over twenty years before the FDA sanctioned its sale for human consumption. 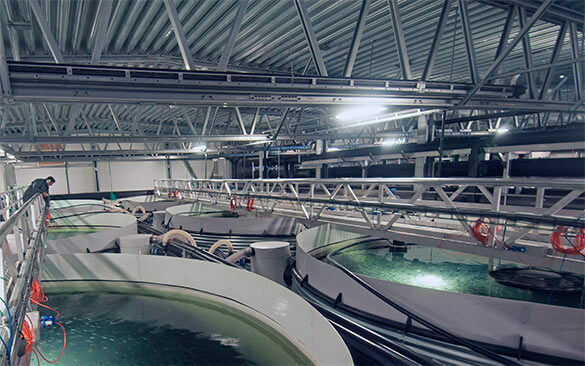 The AquaAdvantage Salmon, developed by Aqua Bounty Technologies, which is owned by Intrexon, was developed by inserting a growth hormone gene from a Chinook salmon and a gene from the ocean pout into an Atlantic salmon. It grows twice as fast as a conventionally farm-raised Atlantic salmon and therefore is able to reach adult size in 18 months as opposed to 30 months. AquaBounty is also working on GE trout and tilapia. 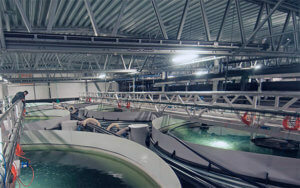 The original work to genetically engineer the salmon was conducted by Canadian researchers and perfected in 1989. In 1995 AquaBounty filed an investigational new animal drug application with the FDA and in 2001 it submitted its first regulatory study to the FDA. It was not until 2015 however that the FDA sanctioned its sales. While sales began in Canada in 2017, sales in the US are not expected to begin until at least the second half of 2019. The FDA has indicated that the approval process took so long because it was the first of its kind. 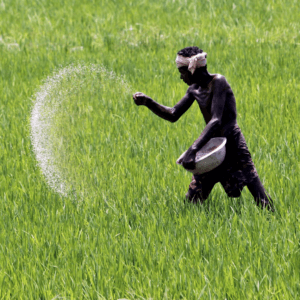 It is widely believed however that the approval process was delayed because the Obama Administration was wary of political backlash from anti-GMO opponents. This was particularly so in the 2012 when President Obama was running for re-election. Although an FDA environmental assessment of the genetically modified salmon had cleared all internal regulatory hurdles and was due to be released in April, 2012, the assessment was placed on hold until after the election––a hold that was only lifted after an exposé in Slate of White House shenanigans by Genetic Literacy Project executive director Jon Entine. But even today, this sustainably produced fish is still not for sale. The key remaining political factor playing a role in the delay of selling the GE salmon in the US is the ferocious opposition of Senator Lisa Murkowski of Alaska who has called it a “Frankenfish.” She fears it will compete with Alaskan “wild” salmon and has introduced legislation to mandate labelling of GE salmon. The bill also requires the Secretary of Health and Human Services to establish a third-party independent scientific review of the FDA’s environmental assessment of all GE fish for human consumption. The FDA has failed to adequately examine the risks associated with transgenic salmon. The long term effects of people eating genetically modified foods have never been addressed – and this GE Salmon is no exception. This fish is unnecessary, so why take the risk? This case is about protecting our fisheries and ocean ecosystems from the foreseeable harms of the first ever-GE fish…FDA should not, and cannot, responsibly regulate this animal, nor any future GE animals. Several major anti-GMO organizations, including Friends of the Earth and the Center for Food Safety, have successfully lobbied several supermarket companies in the US, including Whole Foods, Safeway, Kroger, Target, Trader’s Joe and Aldi, to pledge not to sell the GE salmon. 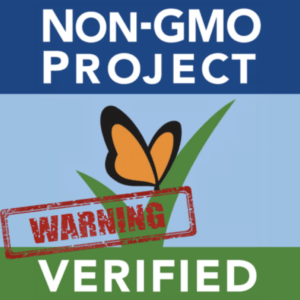 The heavy handed regulatory environment and strong opposition from anti-GMO groups have had a detrimental impact on research and development of GE animals in the US. As a result, US scientists are clearly at a disadvantage to those overseas where although no GE animal has been sanctioned for commercialization besides Canada’s approval of the GE salmon, active research is being conducted and encouraged. China have been particularly active in utilizing new gene editing technology to modify animals. Chinese scientists for example have created tuberculosis-resistant cows, sheep that have more healthy fats, GE cashmere goats that grow longer hair for softer sweaters and more muscular and stronger dogs. They have also created pigs with less body fat by adding a gene that enables them to regulate their body temperature better by burning fat. This could reduce the cost of raising pigs by lowering heating and feeding costs and helping piglets survive cold weather. There has recently been numerous important research breakthroughs in GE animals that will have great benefits if ultimately commercialized. Scientists in the UK for instance have genetically modified chickens so they don’t pass along the avian flu to other birds and a team of researchers at the University of Edinburgh in collaboration with the biotechnology firm Genus have developed GE disease resistant pigs. In Brazil beef cattle have been engineered to have greater muscle mass, which increases their meat content. A New Zealand company has engineered cows to produce milk that doesn’t contain a protein that some people are allergic to. 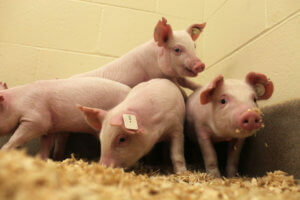 South Korean scientists have used a GE technology to produce pigs with more muscle mass. Scientists in Israel have created a featherless chicken. It is cheaper to raise, more environmentally friendly and does not require plucking. Researchers at the University of Missouri and Kansas State University recently developed pigs resistant to a deadly virus that costs the U.S. pork industry millions annually. Scientists in Canada have developed cows that produce less methane gas –a contributing factor in global warming. The average cow releases 70 to 120 kilograms of methane a year. The negative impact on the climate of methane is 23 times greater than CO2. Scientists at the University of Guelph in Canada have created an Enviropig that digests phosphorus more efficiently, resulting in less phosphorous in their manure. This is important as once in water, high levels of phosphorous cause algae blooms and oxygen depletion that can negatively impact marine life. What we showed is that, if you disrupt a gene required for fertility in female mosquitoes at multiple sites at once, it becomes much harder for the population to evolve around that disruption. Oxitec, a British company owned by Intrexon, said it plans to produce one billion mosquito eggs in the US every week. They are designed to produce offspring that will not survive into adulthood. Trials of the company’s genetically engineered male mosquitoes have been conducted in Brazil and Panama. In the Brazilian trial, the population of a type of mosquito that carries Zika, chikungunya and yellow fever was reduced by 90 percent. Scientists at Cornell have used genetic engineering to breed sterile diamondback moths which are a major pest of broccoli, cauliflower and cabbage. They are responsible for $4 billion to $5 billion worth of damage to crops worldwide. Imagine a company releasing millions of experimental, genetically engineered, biting insects onto a populated island environment. Sounds like the plot to a new Jurassic Park, doesn’t it? Unfortunately, this plot is very real, and it will happen unless we stop it. Our environment should not be a testing ground for experimental genetically engineered (GE) mosquitoes. The opposition to GE animals and insects is not based on any scientific evidence but instead is ideological driven. 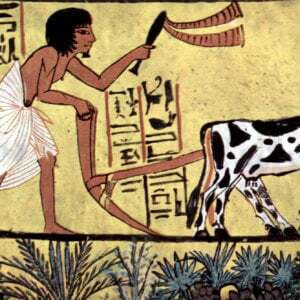 It is predicated on the perception that genetic engineering is inherently dangerous, is not natural and will have unintended consequences that cannot be controlled. But the reality is that GE animals offer great benefits to humankind. They will help to expand the food supply to feed a rising global population, create disease resistant animals that will cut down on the number of animals that die prematurely before they can be slaughtered for meat and will help to produce leaner and healthier meat. GE animals might also become an important source of new drugs. One such example is a genetically engineered cow that has been created to produce antibodies that fight pathogens. These antibodies could be used to treat serious diseases such as Ebola, influenza and Zika. The National Science Foundation is underwriting efforts to create dairy cattle that can resist the parasite that causes sleeping sickness in sub-Saharan Africa. The potential of GE animals is so great that it is only a matter of time before they are commercialized on a widespread basis. 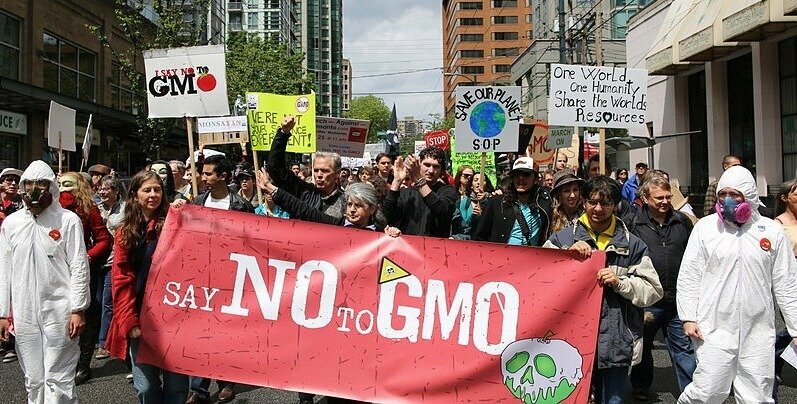 It will also be the case that just as with GMO food, the Frankenstein fears of the anti-GMO movement will be seen for what they are which is fear-mongering and unsupported by science.